Greg and Richard have been using Restorative approaches for a number of years in a variety of contexts, working with children and young people and staff groups from both inside and beyond the education sector. They collectively bring over 40 years of teaching, training and instructional experience to the field and are extremely passionate about this work. 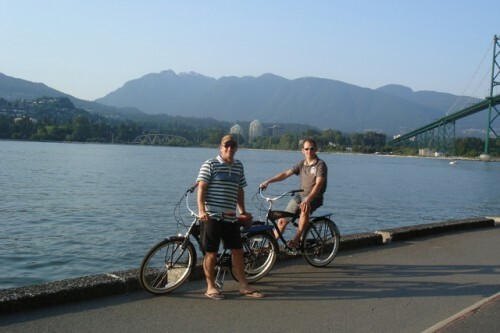 In 2009, both Greg & Rich combined Postgraduate University study and research into Restorative Practices, with working for the Ministry of Education supporting Restorative development in the Canterbury region and operating restorativeschools.org.nz providing training, development and consultancy for schools, workplaces and community groups. Since 2010, Rich & Greg have been providing training and consultation full time throughout New Zealand and overseas. Greg & Rich both live in the eastern side of Christchurch and have both been heavily affected by the recent and ongoing earthquakes that have rocked the city. They remain dedicated to their young families, committed to the future of education and passionate about creating strong functioning communities. 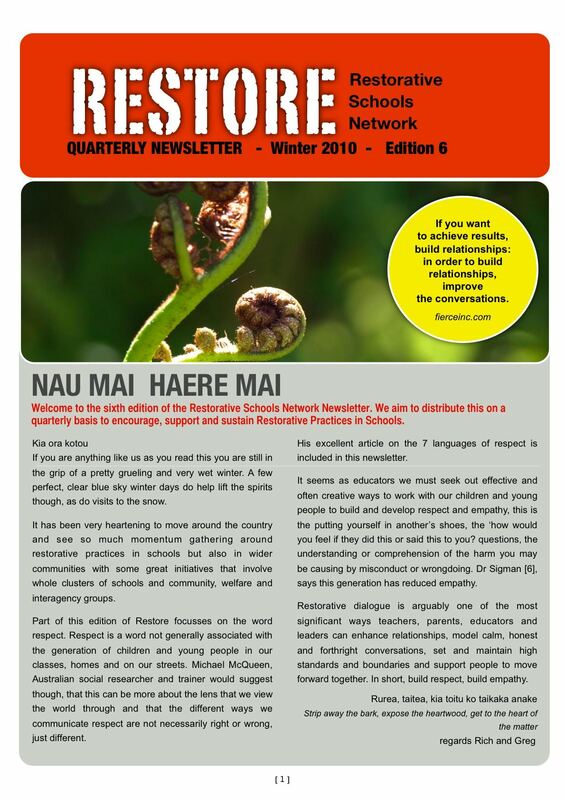 In 2011, Rich and Greg were contributing authors of the recently NZCER published book 'Responsive Pedagogy Engaging Restoratively with Challenging Behaviours' edited by Angus Macfarlane and Varlerie Margrain. Greg is highly motivated and passionate about working with people of all ages, supporting them to reach their potential. 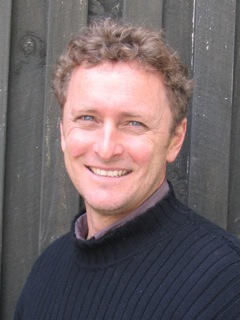 He brings a vast wealth of experience, ranging from working with marginalised and dysfunctional youth and leading Alternative Education Programmes, to facilitation for Project Adventure New Zealand and Outdoor Instructing both in New Zealand and overseas. 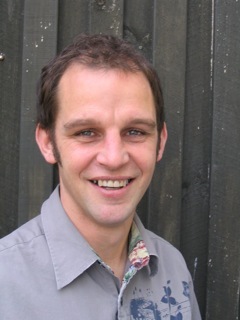 Greg completed his teacher training in Physical and Outdoor Education at the University of Canterbury, and in recent times has been teaching at Kaiapoi High School as the assistant head of faculty for Health and Physical Education, and teacher in charge of the Kaiapoi Adventure School. He was also a Pastoral Dean, and involved in working alongside the Whanau classes. His most recent initiative has been leading the Restorative Practices Team with Richard Matla. Richard studied Fine Arts at the University of Canterbury and worked as an artist before deciding to train as a teacher. Since graduating he has mixed his teaching career with extensive and diverse work abroad including establishing Art co-operatives in Zimbabwe and resort management in Europe. He began his teaching career in Art and has led a vibrant and diverse Arts Faculty and more recently combined this with several years as a pastoral dean and co-leading the implementation of restorative approaches in his school. He is passionate and committed to the needs of young people and their development and to the greater effectiveness and enabling of teachers and staff groups.